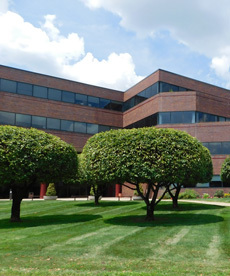 For 40 years, we have provided exceptional landscaping services across the Greater Hartford area to a wide range of commercial and residential properties. Our experienced landscape improvement specialists set the standard in landscape design, fencing, new construction, excavating, hardscaping and pool patios. No matter what type of fence you select - ornamental aluminum, vinyl, wood or chain link - we offer best-in-class construction, quality materials and close attention to detail with our residential and commercial options. From the everyday to the extraordinary, Thompson Landscape has the experience to turn your hardscape vision into lasting reality. Enhance your residential or commercial property today! Landscape design is much more than just knowing how to properly mow and trim your lawn. 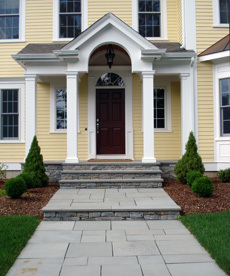 Our knowledgeable professionals have the vision and expertise to help create picture-perfect exteriors. Guaranteed. 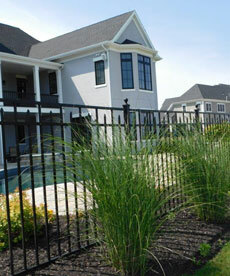 is your source for the highest quality landscaping services. Be sure to view our project portfolio. An established industry leader, we've been servicing the community for 40 years. We take a great deal of pride in living in the community in which we work. Our professional and friendly landscapers are fully licensed, bonded and insured. We schedule regular appointments with our available maintenance agreements. We happily meet with our customers and offer free estimates for our services. No two jobs are alike; we provide our clientele with individualized attention. Are you tired of spending hours mowing your lawn every week? Take back your valuable free time by having us take care of your landscaping needs! Our family has been working with Thompson Landscape for the last 3.5 years. We have had a phenomenal experience with all of the many services they provide, including: initial seeding and fertilization of our lawn, ongoing lawn maintenance, installation and maintenance of our irrigation system, planting of trees and various plants/shrubs, pruning/weeding, mulching, snow removal and pool fence design & installation. They offer consistently great results and exhibit outstanding professionalism. They are a family run business and truly take pride in their work. Last summer we embarked on a very extensive backyard project. Thompson Landscape was there with us every step of the way offering guidance and support as needed. We could not be happier with their work and the oasis they have built for us. The entire team and staff is an absolute pleasure to work with. I would highly recommend Thompson Landscape for any lawn & landscaping needs! We use Thompson Landscape Improvement for our Dental Office in Glastonbury. Thompson provides fast, friendly, professional and conscientious service. Honestly one of the best landscaping companies around! I wanted to thank the design team and crew at Thompson Landscape Improvement. The additional wall, brick walk and landscaping have truly changed the appearance of the front of our home. Beautiful job thank you so much! Please let your crew know that we truly appreciate their professionalism and friendly conduct. Fall clean-up & haul was wonderful. You did a beautiful job. Thank you so much for taking extra special care of our lawn. You guys are worth every penny you charge. Thank you for the GREAT service under very challenging conditions. As is always the case, your guys have done an outstanding job with the landscaping and maintenance on the property. Thank you for the wonderful service! Professional, reliable and friendly service. A work crew that takes pride in doing a GREAT job. I could not be happier with the work done at my home by Thompson Landscape Improvement Inc.
Thompson Landscape Improvement did a terrific job constructing our intricate paver driveway. The job called for circular forms, extensive cutting of the paving blocks and installation over a snow melting system. We are thrilled with the results and feel the added property value is well in excess of the job cost. We highly recommend Thompson Landscape to any homeowner in need of this type of challenging work. We are long time customers of Thompson Landscape Improvement. While neighbors have switched from one company to another year after year, we have developed a relationship with Dave and his staff that gets us the results we want at a fair price. They take the time to understand what you want, and then get the job done to your satisfaction. As long as we own a home in Glastonbury, we’ll be customers of Thompson Landscape Improvement.